Offering you a complete choice of products which include stainless steel bollards, stainless steel carts, scrub sink station, hand wheelbarrow, kitchen racks and metal grill. 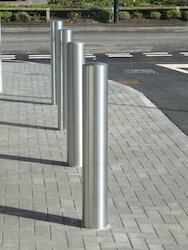 Stainless Steel Static Bollards: Provide perimeter protection whilst also adding contemporary style and elegance to the surrounding landscape. Bollards are available in a number of modern styles, with each bollard available in a variety of length and diameter options. 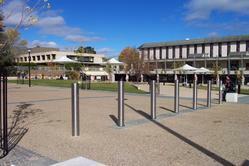 Stainless Steel Bollards are manufactured from a carefully selected grade of 316L stainless steel (1.4401). Exceptionally strong and requiring very little maintenance, they are ideal for a wide variety of applications including pedestrian walkways and areas of protected parking. Higher resistance to corrosion: Whilst stainless steel is corrosion resistant, the naturally forming chromium-rich oxide film that protects it can be broken down over time by chlorine and chlorides. However, due to the increased levels of nickel in its alloy structure, grade 316L (1.4401) has a much higher resistance to corrosion. Greater resistance to pitting and staining: In comparison with other grades of stainless steel, grade 316L (1.4401) is less susceptible to surface pitting. Low Maintenance: As a result of its quality, grade 316L (1.4401) requires very little maintenance to retain its original appearance. This means that the material provides attractive 'life cost' benefits when compared to alternatives, such as carbon steels. Recyclable: Stainless steel is 100% recyclable. Around 90% of stainless steel is made from recycled scrap. Due to this, stainless steel has much less of an impact on the environment and scarce resources, providing an all-around "Green" material for architects to specify. 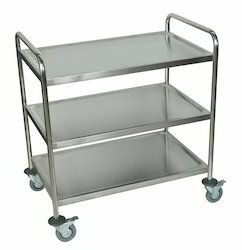 Stainless Steel Carts are constructed with easy to clean and corrosion resistant tubular stainless steel for strength and long lasting durability. Variety of types available to meet job requirements. Rubber or polyurethane wheels provide mobility. Shipped ready to assemble. Available in a variety of lengths, widths, heights and wheel diameters/types to meet transport requirements. With wide and industrial experience we are able to offer premium quality Scrub Sink Station to our clients. This Scrub Sink Station is highly efficient and rust-proof. 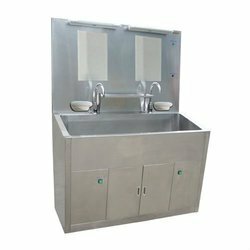 These Scrub Sink Stations are widely used in operation theaters in hospitals for scrub-up before operations and surgeries. We are engaged in the sphere of manufacturing and supplying a wide range of Hand Wheelbarrow. These are manufactured with high quality raw material to ensure sturdiness and durability. Available in various sizes, our Hand Wheelbarrow can also be customized as per the specifications, provided by our clients. Backed by a diligent team of professionals, Keddy Concept has been able to manufacture trade and supply an excellent range of Kitchen Racks. 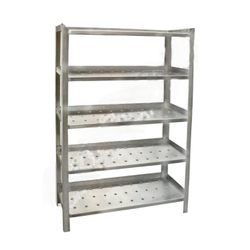 Specially design for stores and for cold room, the offered racks are processed by our experts by using supreme grade material and latest technology in accordance with quality norms. The offered racks are widely admired for various distinctive features such as sturdy construction, perfect finish and durability. 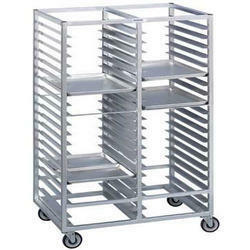 We provide these Kitchen racks as per the exact requirement of the customers. Keddy Concept is the leading manufacturer and supplier of all type of Metal Grills. We provide quality products to our customers as per their requirement at competitive rate. Keddy Concept is the leading manufacturer and supplier of all type of Mild Steel Grills. We provide quality products to our customers as per their requirement at competitive rate. The rich appearance and durable surface of Stainless Steel Lockers by List Industries Inc. make them the perfect locker solution for areas prone to rust and sanitation concerns and are ideal for food industry, pool area and outdoor applications. With the help of our expert team, we are offering MetalCoffee Table. High quality raw material and advanced techniques is widely employed by the experts in manufacturing these tables. To meet the requirements of clients, we offer these tables in different designs, colors, sizes and finishes. 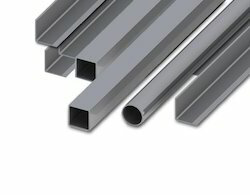 We offer a range of stainless steel profile that are made of quality stainless steel. It comes in matt or glossy finish that adds elegance to the products. These products are available in different patterns and shapes, which can be further customized. We are engaged in the sphere of manufacturing and supplying a wide range of Stainless Steel Cages . These are manufactured with high quality raw material to ensure sturdiness and durability. 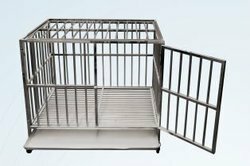 Available in various sizes, our cages can also be customized as per the specifications, provided by our clients. 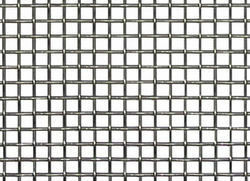 Keddy Concept is the leading manufacturer and supplier of all type of Window Grills. We provide quality products to our customers as per their requirement at competitive rate. We provide our clients with an assortment of Stainless Steel Stands, which known for its durability, corrosion & abrasion resistance, dimensional accuracy and smooth edges features. Increasing the aura of premises, our range is widely used in homes, corporate, hospitals, hotels and restaurants. Furthermore, our range is manufactured as per the designs and specifications laid down by the customers. Our array of Stainless Steel Table Pipe Base is developed using quality raw material sourced from reliable vendor sources. 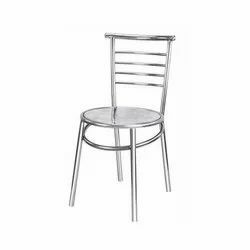 These are available at a low cost of ownership and are easy to maintain, these are applicable for various uses but majorly used with tables. Tending to the needs of our customer we offer these in different sizes. Under the esteemed guidance of our professional, we are able to offer our clients a qualitative Staircase. This Staircase is fitted with easy ladders that ensure safe climbing and running, providing wide space. This can be obtained in various heights, lengths, widths and other specifications to meet the requirements of the clients as per international standards. For cafeterias, food courts and other food service applications requiring trays, these tray racks are an important addition to your kitchen equipment. Made with durable swivel casters and long-lasting aluminum or stainless steel construction, these tray racks are ideal for holding soiled food trays before they go through the dishwasher. Tray racks resemble pan racks in appearance and utility, and in fact, you may be able to swap them out without too much trouble. However, tray racks are designed especially to collect dirty cafeteria trays and bring them all at once to the commercial dishwashing station. Keeping in mind the requirements of our esteemed clients, we are engaged in manufacturing a wide spectrum of Road Sign Gantry. Well fabricated with quality basic material and sturdy constructed as per international standards, these have high strength, corrosion resistant and excellent efficiency. Available in various sizes, these are widely used in Highway for broad signage boards. 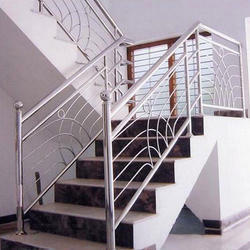 Keddy Concept is the leading manufacturer and supplier of all type of Balcony Grills. We provide quality products to our customers as per their requirement at competitive rate. 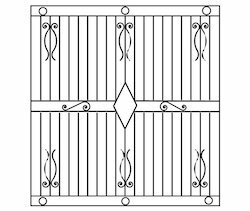 All our Decorative Grilles are cast of iron and Stainless Steel. They are beautiful and guaranteed to last a lifetime. 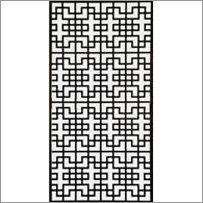 Available in traditional scroll design or more contemporary square design as well as round for high velocity systems. 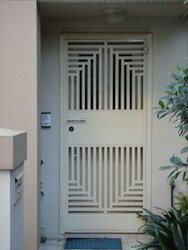 Keddy Concept is the leading manufacturer and supplier of all type of Door Grilles. We provide quality products to our customers as per their requirement at competitive rate. 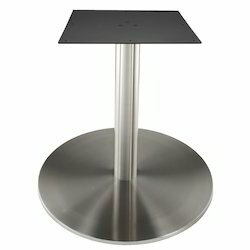 We are engaged in offering SS Table Base to our clients. 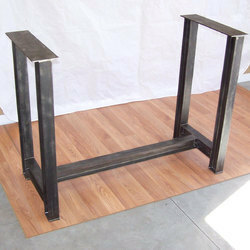 We are able to manufacture superior quality SS Table Base. 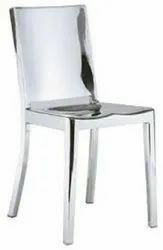 These are made from high quality of raw material which ensure durability at its user end. These product are available in market at competitive rates. Higher resistance to corrosion: Whilst stainless steel is corrosion resistant, the naturally forming chromium rich oxide film that protects it can be broken down over time by chlorine and chlorides. However, due to the increased levels of nickel in its alloy structure, grade 316L (1.4401) has a much higher resistance to corrosion. Recyclable: Stainless steel is 100% recyclable. Around 90% of stainless steel is made from recycled scrap. Due to this, stainless steel has much less of an impact on the environment and scarce resources, providing an all round "Green" material for architects to specify.